The month of June was hot, heady and very busy. 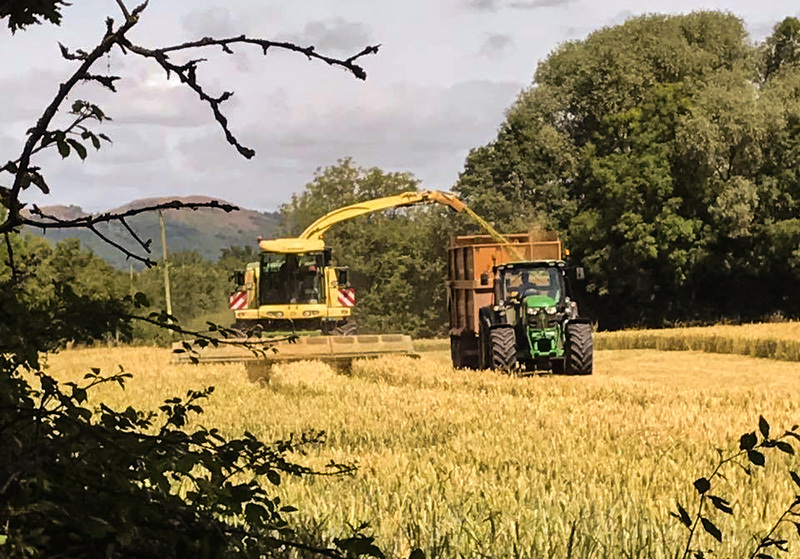 The Local festivals continued to delight with Jazz in Upton upon Severn, and I can hear the distant rhythmical thud of El Dorado, whilst the combines work overtime in the fields harvesting the barley, we all revel in the many festivals and events filling our waking hours. Now Bring on July and all it has to offer, which I’m discovering is a great deal more than I can attend in one month. As we go into July the Poetry festival in Ledbury delivers many delights, and impromptu street performances. The town is a great place to explore with secret fairy doors for children to find in many retailers and cafe’s whilst grown up can wander the lanes and ponder over some beautiful things in one of the best independent high streets in Britain. Second weekend just down the road the Drum and Monkey pub hosts Woo Fest, a small festival held in their field which promises a fly past of Lancaster Bombers. The same weekend our local parish of Castlemorton hold the annual Shindig on the common. A very village affair with Gymkana, dog show, bike race, tug of war and music in the evening. Visitors are welcome to experience village life with all it’s tradition and idiosyncrasies. Later in the month the renowned Upton Blues festival will fill the streets with free music, so visitors can grab a drink and discover the many live music stages dotted around the town. If you want to travel back in time then Tewkesbury Medieval Festival is the place to immerse yourself in old England, with re-enactments and a living village, with every one dressed for the part. Another blast from a past life is the Welland Steam Rally, with parades of vintage machinery, fun fair, auction and of course the beer and cider tent. Personally I’m looking to dressing up at Eastnor Vintage Escape, with jazz and swing dance lessons, music, retro bike race and all things from a bygone era. For the food lovers Worcester hosts a great foodie festival on 5th and 6th of July, with over 70 stallholders throughout the town. Add to all of that the amazing events in Gloucestershire like learning to photograph wildlife, open air cinema in the Forest of Dean or Shakespeare in magical Puzzlewood the July calendar is bursting. 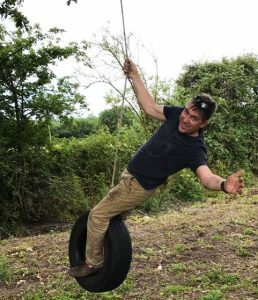 Here on the farm with our second tent all done, we’re turning our attention to some added fun with rope swings, a children’s wildlife orienteering quiz and a zip wire! So book your time away and join us at Up Sticks Glamping in July or August. A three night stay mid-week will set you back just £325, or five nights Sunday- Thursday for just £600. Our tents sleep 6 and offer all your home comforts under canvas.